Aristokratismus. Historische und literarische Semantik von ‘Adel’ zwischen Kulturkritik der Jahrhundertwende und Nationalsozialismus (1890-1945). The workshop is part of a DFG-funded research project on the same theme and is organized by Prof. Dr. Eckart Conze, PD Dr. Jochen Strobel, Daniel Thiel und Jan de Vries. My paper pursues a diachronic comparison of German discourses of cultural criticism around 1800 and around 1900, focussing on the differences in the use of semantics of aristocracy in these contexts. Thus, the paper offers an empirical case study using a model distinguishing between four dimensions of change in the history of cultural criticism I formulated last year on a conference in Heidelberg (soon to be published in its proceedings). The Call for Papers for the Marburg workshop may be found here. On 9 and 10 July, I will be participating in a workshop in Berlin, organized by the DFG research network Auditory Knowledge in Transition. The workshop’s title is “Auditory Knowledge in Politics: The Sound of Power and the Power of Sounds”. 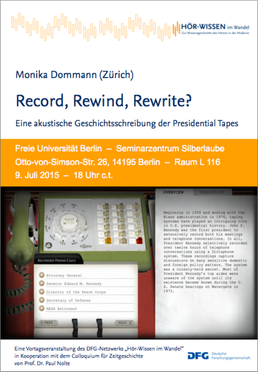 A keynote lecture by professor Monika Dommann of Zürich University with the title “Record, Rewind, Rewrite? Eine akustische Geschichtsschreibung der Presidential Tapes” will be held on Thursday July 9th, at 6 PM at the Seminarzentrum Silberlaube Otto-von-Simson-Straße 26 (Raum L 116). All are welcome. I myself will comment upon a paper presented by my friend Daniel Morat of the Free University of Berlin. Some weeks ago, together with Franz Leander Fillafer, a colleague from Konstanz, I submitted a session proposal for the the 13th International Congress for Eighteenth Century Studies to be held in Graz (Austria) between July 25 and 29, 2011. Now, the text has been published on the website and the session is open for paper proposals (also through the website). For junior scholars, there are travel grants. The question “What is Enlightenment”, still a bone of contention, is inseparably linked to two other issues unsatisfactorily neglected: When and how did it start, and why and when did it end? As for the former question there seems to have been a robust, tacit consensus, tying Enlightenment’s rise to the critical exploration of nature in the seventeenth century, a phenomenon once described as the ‘scientific revolution’. Upon closer inspection, this account, which stressed secular and cognitive dimensions above all others, bears the clear the imprint of specific nineteenth-century preoccupations and attitudes. For this reason it has, in recent years, been progressively scrutinised. But this scrutiny will also have to engage with eighteenth-century perceptions of Enlightenment’s advent, ways of self-authentication both nuanced and scarcely inclined to follow retrospectively interpolated patterns. What happened to the Enlightenment after its ostensible demise around 1800 is notoriously difficult to gauge. The problem is often bypassed by relying on the gridlocked epochal caesuras (1789/1800), by retrospectively describing specific eighteenth-century phenomena as premonitions (pre-Romanticism) or by declaring Enlightenment a transhistorical “project”, one still worth fighting for or still pernicious enough to be combated. Clearly, rewarding avenues of research may open up here. As intimated, the location of Enlightenment’s beginnings and ends has not only been a problem bedevilling historical scholarship. 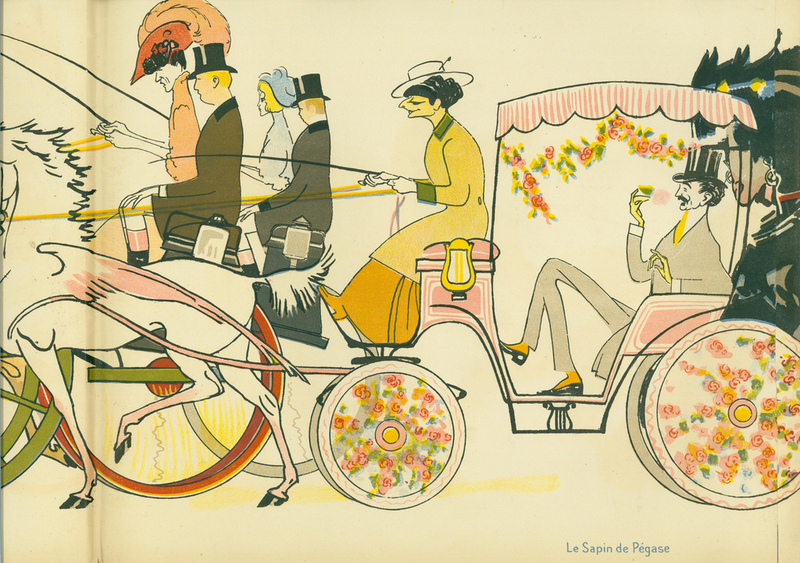 In fact, it has been a point of departure for disputes over the character and development of the modern age, ranging from eighteenth-century controversies about the interpretation and value of Lumières/Aufklärung to debates about “postmodernism” and the “end of history”. Eighteenth-century ‘genealogies’ of the enlightenment, both in self-descriptions of ‘enlightened’ authors and (negative) characterizations by others. Forms and functions of narrating Enlightenment’s beginnings and ends in debates about the ‘modern age’ and ,modernity’ from the eighteenth-century to the present. The heuristic value of specific analytic concepts (e.g. enlightened absolutism, Catholic Enlightenment, radical Enlightenment etc.) with respect to the question of periodization and the vicissitudes and fortunes of their application in distinct scholarly cultures under varying political auspices (liberal vs. conservative historiography etc.). The specific temporal and intellectual contours of Enlightenment in aesthetic debates or circles, or in the construction of national canons of literature and art. We will divide our section into sub-units with invited respondents/commentators after each.